OH...FOD! Checked Your Drawers Lately? That screwdriver that mysteriously went missing from the toolbox, a scrap of wire or a pack of Lifesavers might not look threatening. But as any A&P Tech will tell you, anything that’s somewhere it doesn’t belong sets the stage for a potentially dangerous situation. Such objects are known as FOD, and Duncan Aviation’s technicians are finding more of them more frequently. It is common knowledge that any foreign object in, on or around an aircraft can have tragic results. Yet some of our airframe techs have discovered many of these objects during inspections across all makes and models of aircraft. Everything from small bits of trash to misplaced pieces of on-board equipment have been found trapped under floorboards and lying on top of wire bundles. The definitions of FOD can be as varied as the objects that can cause it: Foreign Object Damage, Foreign Object Debris, etc. One thing all aviation experts agree on is that if FOD is in your aircraft or if it affects the external areas of your aircraft it can lead to an extremely serious situation. FOD comes in many forms–typically debris from other aircraft. It can be nothing more than a small rivet or any other type of object on the ramp or runway. Tire punctures are common with runway FOD. Hopefully this type of debris is caught during pre-flight inspections and the result is only an inexpensive tire replacement and not a blowout during takeoff. Internal FOD can result from work crews leaving an object trapped behind a panel or floorboard somewhere on the aircraft. It can even be a part of the airplane that was moved and not returned to its proper place. During inspections, our techs have discovered items ranging from tie-raps, avionic control buttons, pencils and even an auxiliary gear handle that was lying on top of the flight control pulleys under the co-pilot floor. Any FOD trapped under floorboards can be a potential hazard to the safe operation of an aircraft. Sharp objects found lying on wire bundles, hydraulic lines, pitot static lines, etc., are especially dangerous and can have a chafing potential which can again lead to a catastrophic failure. 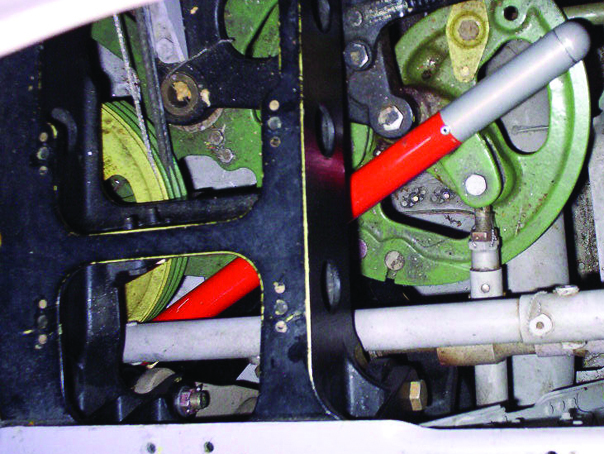 Duncan Aviation's technicians found this red Auxiliary Gear Handle (which belongs to the aircraft) sitting on top of the flight control pulleys. Consider this fictional nightmare scenario: After a maintenance event, an auxiliary gear handle is left under the pilot’s floor lying on top of the flight control pulleys. The crew has done a thorough preflight, but does not have X-ray vision and has no idea what’s below them. 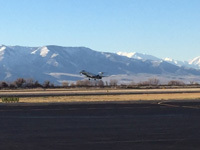 They start down the runway for the flight home and just as the PNF (pilot not flying) calls V1 (the decision speed to abort the takeoff or fly) one engine quits, so the PF (pilot flying) immediately adds rudder for directional control. The auxiliary gear handle slips from its resting place due to the abnormal side loads and wedges into the rudder cables. The rudder is designed to travel a set number of degrees to give a pilot the required directional control at the speed above V1. Since the handle is now restricting the designed amount of deflection, the pilot’s only option is to reduce power on the good engine to match what rudder is available and PRAY that is enough. Depending on the type of FOD, a loss of any system aboard an airplane is possible. This can lead to a life-threatening scenario during takeoff, flight and landing. Normally these types of FOD issues don’t arise because of the professional training and maintenance ethics of A&Ps. Vigilance to the task at hand can eliminate many forms of FOD. When it comes to FOD, carelessness should never be tolerated and strict procedures must be followed. Duncan Aviation is extremely serious about FOD and has an inspection system in place that is strictly adhered to in order to ensure that all foreign objects, regardless of area of origination, are secured prior to panel/floor close up. At Duncan Aviation a task on or around an aircraft is not completed until FOD is eliminated. Make sure to review the FOD procedures at any maintenance facility you might choose and make sure they take FOD as seriously as they should. Engine FOD can be the most dangerous of all FOD. Any material that rips through any engine can cause a catastrophic failure. Engine FOD is both internal and external. Internal FOD can be mitigated through the use of strict procedures. (Check to see the procedures your service provider uses.) External FOD requires proper planning and observation to eliminate. Internal FOD may include any tool, part or anything a technician may use while servicing an engine. Rivets are common FOD elements for engines. Years ago, a chief pilot decided to test his flight crew’s FOD procedures by placing his hat inside an engine intake. Before he could warn them of his plan, they tested the engine. Several thousand dollars of damage resulted. External FOD is much more dangerous if the aircraft is in flight. External FOD may include airborne debris such as a sand storm or volcanic ash from an eruption or even hail or ice ingestion. Be aware of FAA NOTAMs in the area of your flight plan. Also be careful when taxiing behind large aircraft as their jet blast and general size can kick up quite a bit of debris. 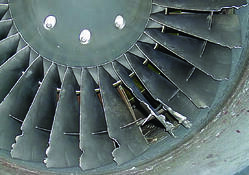 The damage to the TFE731 engine above was caused by a bird strike. We found damage to the fan blades, nose cowl leading edge, fan stator, and compressor impeller... just to name a few. Depending on the strike, one bird can cause more than half-a-million dollars in damages. 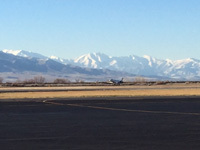 Duncan Aviation’s Provo, Utah, facility both gave and received an early Christmas present this year in the guise of an Embraer Legacy 144-month (L24) inspection. During this inspection, we restored the landing gear and installed an Aircell ATG5000 cabin Wi-Fi system, among many other smaller items. Space constraints presented the Provo crew with unique challenges, but with the requested outdate in mind, our teams worked together and creatively resolved those challenges. We aggressively dealt with the turntimes on the landing gear in order to meet our customer's limited downtime. The landing gear team at our Lincoln, Nebraska, facility finished the overhaul and shipped the landing gear back to Provo within a day of the requested return date. Another challenge resulted from a missing aircraft Electrical Load Analysis (ELA) document. The ELA is comparable to the aircraft Weight and Balance Manual—only it’s for the aircraft electrical system. Our avionics install team worked with our Embraer contacts and procured a manual for this serial number in time for our team to perform the final calculations and produce the appropriate paperwork on our end for delivery. To limit yet maximize downtime for this popular charter aircraft, our interior team worked with the customer on which repairs we could accomplish after the interior was removed for the inspection. The team ended up finishing several high-profile pieces of woodwork and had everything looking like new by the time installation day rolled around. As often happens, a couple of gremlins dogged the final day—a landing light burned out and a flow pack gave up just before delivery. Troubleshooting and procuring parts ended up pushing delivery back a day, but the aircraft arrived at its home on Tuesday, December 23. Once home in Scottsdale, the delivery gremlins reappeared; this time, an APU issue sent our Scottsdale Rapid Response team into action and they resolved the issue by early the following morning. One of the things that really shined through to our customer with this project was the way Duncan Aviation as a team banded together to support them no matter what facility they were in. This aircraft was worked on in our Provo facility, the landing gear was completed at our Lincoln location and when the aircraft needed after-delivery support in Scottsdale, our Rapid Response team there was quick to respond. This inspection was a true multi-shop, multi-site success story. Since becoming a Legacy Authorized Service Center, we’ve completed several types of inspections, including L1, L2, L4, and this most recent L24. 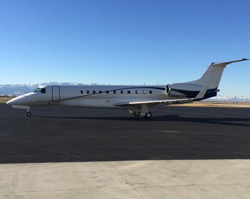 Jeff Schipper is a Project Manager at Duncan Aviation's Provo, Utah, facility serving as the central point of contact for his customers' projects ensuring overall project quality and timely aircraft delivery. His aviation career began in 1987. 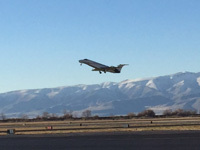 The Embraer Legacy takes off from Duncan Aviation's picturesque view in Provo, Utah. Fluorescent magnetic particle inspection on a generator dampener plate. Nondestructive testing, or NDT, is a method of testing for defects in materials without destruction of the materials. There is some form of NDT testing on nearly every aircraft inspection. It is often required to test aircraft parts, assemblies and other materials to determine if useful life remains or if cracks or corrosion hide below the surfaces. Eddy current, dye penetrant, ultrasonic and magnetic particle inspections are all NDT methods used for required NDT testing. For major structural inspections on several aircraft models, NDT x-rays are required. Duncan Aviation has one of the highest skilled in-house non-destructive testing teams in the industry. All technicians are trained and certified for basic Falcon NDT and several certified for advanced Falcon NDT testing. It is what they do full-time every day, day in and day out. They do not divide their time with other areas and work NDT part-time. The team currently has 8 certified NDT technicians, but to meet increasing demands, both internal and external, more certified NDT technicians are being added. Capabilities in Lincoln, Nebraska, are being expanded to include Bombardier Global and Embraer aircraft. And an NDT lab will open soon in Provo Utah. Duncan Aviation believes that being prepared to meet the smallest needs of every customer has the biggest impact and has invested millions of dollars in tools, equipment and talent to quickly and efficiently provide for required aviation maintenance services. Keep reading about Duncan Aviation’s NDT capabilities and what sets us apart from other MRO service providers. This summer, Duncan Aviation will complete the largest expansion project its Lincoln, Nebraska, campus has ever seen. The 175,000-square-foot facility will be comprised of two 40,000-square-foot maintenance hangars and a 95,000-square-foot office and shop space. Chief Operating Officer, Jeff Lake said the company decided to build now because the size and number of aircraft they are working on and will continue to work on simply did not fit well in the current hangar space. “We anticipated this trend, which is why we invested in the new 45,000-square-foot aircraft paint facility two years ago. Now it was time to support the maintenance side,” Lake said. Duncan Aviation already boasts a row of hangars that dot the runway at Lincoln’s Municipal airport. Now as the expansion is nearing completion, they will add two more. To get information and register to attend the Open House Celebration, go here. When Duncan Aviation’s Senior Team decided it was time to invest in a new, larger hangar facility, they wanted to ensure it was of the highest quality, just like the aircraft services provided inside. That priority also aligned well with the company’s desire to make “green” decisions whenever possible. “Things that are good for the environment are good for our employees, and that translates into an excellent experience for customers as well,” Lake said. Kyle Link, Tectonic Management Group, Inc.’s designer/builder senior project manager for the expansion said the materials and design elements chosen are a new concept in hangar environment. From the LED lighting that senses daylight and automatically dims itself to the radiant floor heating, it’s top of the line. “You can’t cost effectively dim fluorescent lights. You would have to shut off individual bulbs. But LED lights can be dimmed gradually, saving energy and making it less apparent to team members,” Link said. That combined with the skylights and windows, makes the hangar brighter with all the lights off than any of the other hangars with every bulb lit. During construction, Duncan Aviation made deliberate decisions to go above and beyond the energy code and choose more cost and energy-saving options such as skylights, sidewall daylight panels and radiant floor heat. Read more about Duncan Aviation’s Green Hangar in the Spring 2014 Duncan Debrief.